Just by looking through our impressive range of removal services, you're bound to find a removal package that suits you. If you're moving to Bedford Park, W4 you will get lots of mileage out of our services – you can count on it! We provide van hire, man and van movers... you name it, we can provide it. All of our services are wholly dependable, simple to hire and affordable to boot, and all you have to do to find out more is to contact us on 020 8746 4402. Moving Service is the obvious choice for removals in the local area. What About Our Moving Services in Bedford Park Makes Them the Finest Around? Quite a lot, actually. We have been providing relocation services to the people of Bedford Park for a good amount of time now, and we've only made improvements during that time. Our services are flexible as they are varied, and the equipment that we utilise is second to none. From the vans that our staff operate to the dependable insurance plans that we offer, there are plenty of reasons to call. So if you're moving to Bedford Park, W4 and are looking for a removal company that'll cover all of the bases, call 020 8746 4402 now and get the best deal on dependable moving services. When you hire with us, you're getting the complete removal package. No matter which of our many removal services you hire, you're guaranteed absolute quality from start to finish. Our staff are who make our services great – they are all true professionals in their field with years of experience to back that statement up. They will make sure that your items get to where they need to go intact, and will utilise state of the art removal equipment to do so. Our movers are also incredibly knowledgeable, and experts in the house moving process. They make moving less of a hassle, and hiring them is only a phone call away. What's Bedford Park All About, Then? Bedford Park is a pleasant, suburban area located in the west of London. 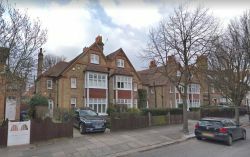 It's part of the W4 postcode area, and is mostly within the London Borough of Ealing. It is suggested that Bedford Park is England's first garden suburb, and when you look around you can see where they're coming from. There are a few Grade-II listed buildings in Bedford Park, and they're all well within the conservation area of which Bedford Park makes up a large part. In terms of transport, the most local station is Turnham Green, and there's plenty of London Bus support as well. What Makes Our Moving Services in W4 Such Great Value? You've always got to be careful not to jump the gun when hiring a moving company, because shopping around usually yields results. Here at Moving Service we provide the best deals around. We supply high quality removals to Bedford Park as well as other London based services, and we undercut our W4 rivals significantly while doing so! We can dispatch a team of movers to your home or office on the same day if you call us early enough in the day, and we're available to hire every day of the week. So don't waste your time and money on a slower, lower quality service, call us on 020 8746 4402! Act now, and you can take advantage of our special offers in Bedford Park, W4!